Salsa Chicken in the crockpot is a simple, hearty dish and perfect to serve for a crowd. You can easily modify the recipe to match your taste, adding more vegetables, hotter chiles, etc. I’m trying to avoid simple carbs so I served over quinoa with sliced fresh tomatoes. It would be fun to serve the chicken in a buffet with a variety of serving options (outlined below) to allow the guest to make their own finished product. Place chicken breasts in bottom of crock pot and season with salt and pepper. Add corn, beans, chiles and salsa. Sprinkle with cilantro. Cover and cook on high for 5-6 hours or 8 hours on low. About an hour before serving, shred the chicken in the crockpot and let simmer until ready to serve. 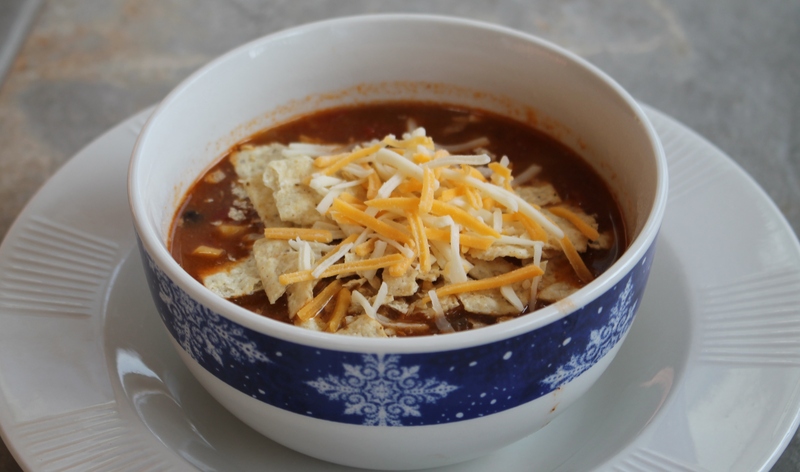 Serve with fresh tomatoes, avocado, sour cream, shredded cheese, or salsa as you like. Serving options: Use as filling in burritos or tacos. Serve over quinoa, baked potato, rice or noodles. Taco Casserole for dinner tonight! Casseroles are a wonderful invention! My earliest recollection of casseroles revolves around potluck dinners at the church or school. When I was working and raising children, casseroles and the slow cooker saved me. I would mix up the casseroles the night before and refrigerate until I got home from work the following night. Throw the casserole in the oven and dinner is on its way. The kids always liked this recipe (less the lettuce and salsa on their servings). 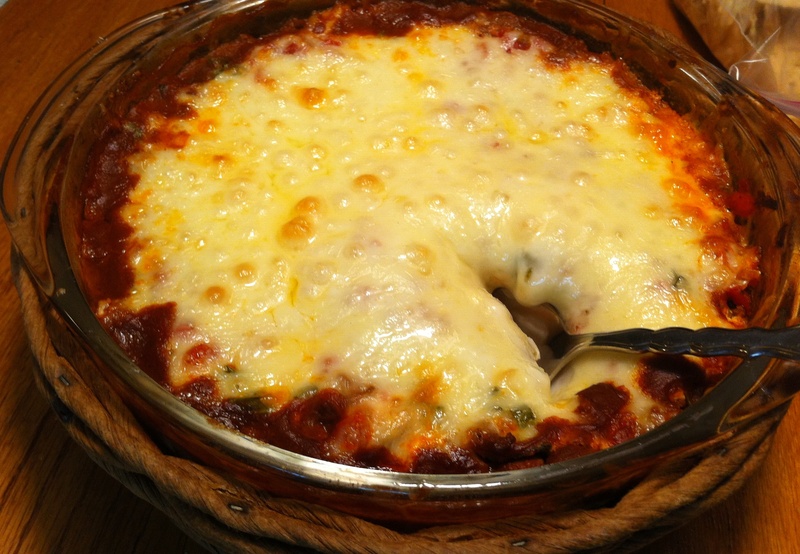 What’s for dinner tonight…Taco Casserole coming up! 2. 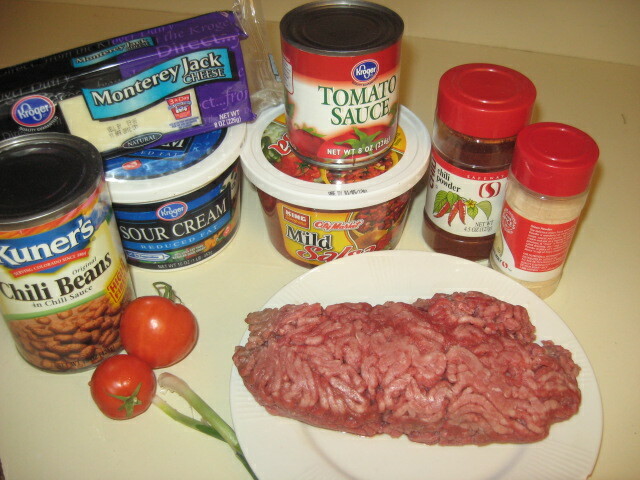 After browning/draining ground beef, stir in beans, tomato sauce, salsa, chili powder and garlic powder. Heat to boiling, stirring occasionally. 3. Place tortilla chips in ungreased 2-quart casserole. Top with beef mixture. Spread with sour cream. 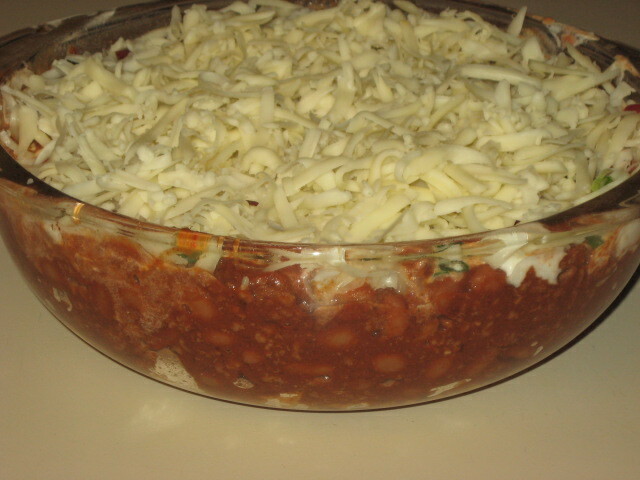 Sprinkle with onions, tomato and cheese.